Several biotech companies are racing to develop smart contact lenses that monitor blood sugar levels in tears. The next generation of diabetes treatments involve overriding glucose absorption in the kidneys, an uptick in gut hormones, and ditching the finger prick. Diabetes has become a global epidemic in the last quarter century, quadrupling to 422 million people living with the disease in 2014 from 108 million in 1980. Nearly 95 percent of today’s cases are type 2, where the body both can’t produce enough insulin — a hormone that regulates blood sugar — and can’t properly use the insulin it has, leading to chronic high blood sugar and serious complications. Type 2 diabetes is associated with genetic and lifestyle factors, such as being overweight and not exercising. The other five percent have type 1 diabetes, an autoimmune disease in which a person’s pancreas does not produce insulin. The next generation of type 2 diabetes treatment, according to Vincent Mascitti, a medicinal chemist at Pfizer’s Groton, Connecticut site who specializes in treatments for the disease, is moving away from only reducing blood sugar levels. “We’re focusing on providing multifaceted improvements for the patient, such as blood sugar reduction, weight loss and blood pressure lowering,” he said. Read on to learn about new areas in diabetes care 2.0. Forget the multiple-times-a-day finger prick tests that many diabetes patients need to check their blood sugar levels. In the future, tracking blood sugar may be as simple as inserting a contact lens. Google’s health technology company, Verily, is in early stages of developing a lens that tests tears for glucose levels. 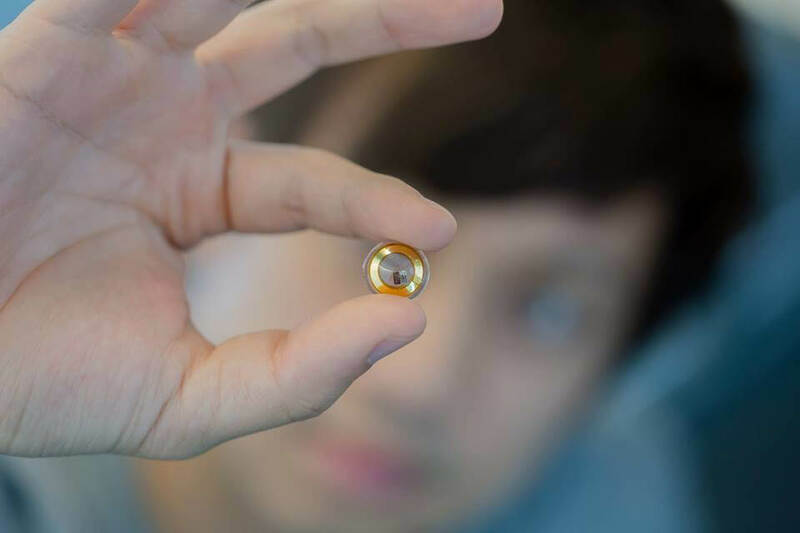 Composed of a glucose sensor, a chip, and antennae — as tiny as bits of glitter — embedded between two soft contact lenses, the device can provide minute-by-minute glucose readings, sending them to a mobile device. Canadian startup Madella Health is developing similar technology. In the early 1900s, researchers observed that injecting glucose in the bloodstream didn’t raise insulin levels as high as when people ate it. These early studies suggested that the digestive tract played an important, but unknown, role in blood sugar regulation. Today, researchers are honing in on gut hormones known as incretins that travel to the pancreas telling it to produce more insulin. One of these, known as GLP-1 (glucagon-like peptide-1) is released in the small intestine and colon when you eat. GLP-1 also reduces appetite. People with type 2 diabetes often don’t have enough of this hormone, so researchers are targeting treatments that stimulate an increase in the levels of these incretins in the body, or analogs of them, in the body. Some of these drugs are already available, but longer acting ones are in the works. While the pancreas and liver are key actors in the processing of sugar in the body, the kidneys also play an important role. Sugar, or glucose, circulates through the bloodstream, and also accumulates in the urine. Once there, it passes through the kidneys where it’s filtered: but unlike metabolic wastes, which are filtered out in urine, glucose is reabsorbed back into the bloodstream. Indeed, back in prehistoric days when calories were scarce, scientists believe that humans evolved to develop a mechanism where glucose passing through the kidneys can be reabsorbed in the body via proteins known as sodium glucose co-transporters. “But today when many people's diets are so rich in energy and calories, there’s not as much need for glucose reuptake via these co-transporters,” said Mascitti. A new class of drugs that has recently emerged blocks a sodium glucose co-transporter known as SGLT-2, which is responsible for the reabsorption of some 90 percent of the glucose filtered in the kidney per day. This excess glucose is urinated out, which results in lower blood sugar levels, weight loss, and blood pressure lowering according to Mascitti. “Other types of diabetes drugs help you process glucose; this one allows you to excrete it, thereby providing multifaceted improvement of glycemic control for the patient and a new class of drugs of transformational efficacy potential,” he adds.